Most modern cameras do everything as perfectly as possible. They automate focus, aperture, shutter, film speed, white balance and everything else you would care to think of. They recognise faces and switch to portrait mode - even taking the picture when your subject smiles. Lomo cameras don't. They leak light, over and under saturate your images, over-expose your images and sometimes stop taking pictures altogether. Why would you want such a device? Well I asked myself the same question when I bought my first Holga. Most of you, I'm sure, will have heard of Lomography. It has been around since the early 90s and it just keeps getting bigger and bigger; it now has more of an established following rather than cult status, but this is why I recommend you spend some time shooting with a lomo as these cameras often provide very satisfying results with the minimum of input. 1. Take your camera everywhere you go. 2. Use it any time – day and night. 3. Lomography is not an interference in your life, but part of it. 4. Try the shot from the hip. 5. Approach the objects of your Lomographic desire as close as possible. 8. You don’t have to know beforehand what you captured on film. 10. Don’t worry about any rules. These rules are all in the spirit of shooting with lomos and if you want to read the full set you can go to the official Lomography site to read them here. So what has changed over the last 15 years? Well the official website now stocks over a hundred models / kits and integrates a community where you can upload your own photos. 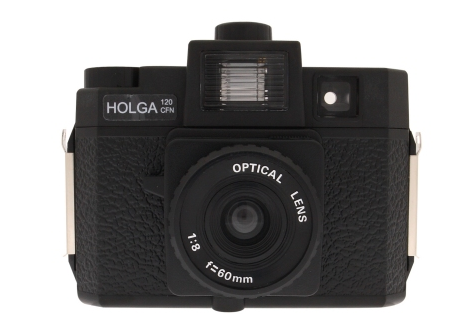 There are also lots of spinoff websites and communities and modifications of cameras such as Holga Mods. I thought that it would be worth catching up with Lomography on Cool Photo - because it does give you an opportunity to have fun and make mistakes when shooting film and this lets you display your photos in a very creative way. 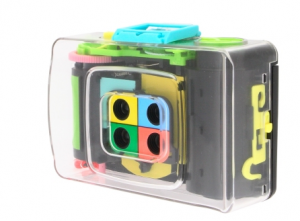 With a camera like the Holga that uses medium format film, you can enlarge your images and hang them in a no nonsense way or have fun with an actionsampler (below) and record your results in a photo book or DIY photo display. The most inexpensive lomo cameras make great photo gifts because they are easy to use and need very little instruction, it really is just 'point and shoot' which breaks down the barriers that more modern digital cameras often impose on you, simply because they are built to take the perfect picture. From my personal experience I would say the one drawback with Lomos is that they do break fairly easily, or rather they sometimes fail and you don't quite know why. Its often just a spring that has had the attention of too many trigger happy photographers or the weight of a laptop popping open the casing. Medium format film can also be expensive to develop and a pain to find a lab that still processes it without hassle. Having said that the whole point of these cameras is to be a bit wacky with your style, try and shoot from the hip and when you get your photos printed, to display, upload and share the results with your friends. Its always more intriguing getting results from film you've shot on a lomo than uploading your compact flash card to your laptop - often you've already seen those results on the LCD on the back of your DSLR. I have heard of a mini digital camera with a lomo effect called the Minimo. I would certainly be interested to try one of these out - although I know some would argue that replicating the effects that lomos create is a bit of a move away from the cultish and romantic lomo community but we're open to ideas here at cool photo. and if you have taken pictures with any lomo cameras yourself, I would love to hear from you and maybe post some of your creations up on Cool Photo Ideas!